Out West, the fast-food chain Jack in the Box is finally getting around to rolling out its very own “croissant donuts,” but Cronut OG Dominique Ansel is, as they say, on to the next one. In fact, he’s released a veritable torrent of dessert creations since the Cronut hit the market — last week, it was canned ice-cream sundaes — and now it’s gotten to the point where the pastry chef takes to the airwaves when he has a new idea. This morning, he hit GMA to introduce the latest: a pull-apart pretzel shaped like a lobster tail, stuffed with buttercrunch and peanut butter and served salted with whipped brown-butter-honey sauce on the side. On sale Saturday.Photo: Dominique Ansel Bakery. 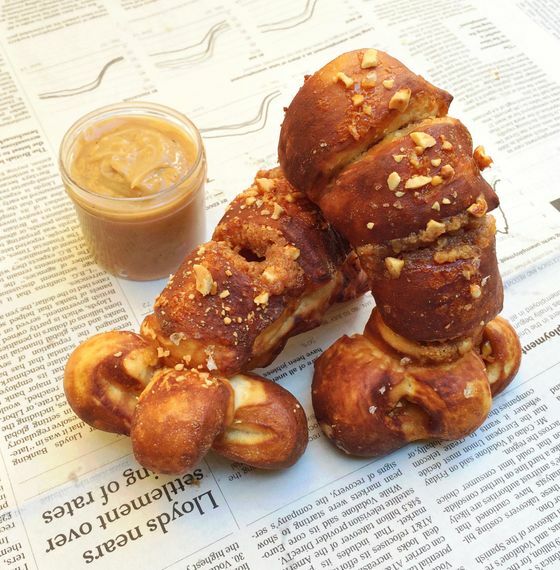 Here’s the idea: The pretzel lobster — Pretzer? Lotzel? 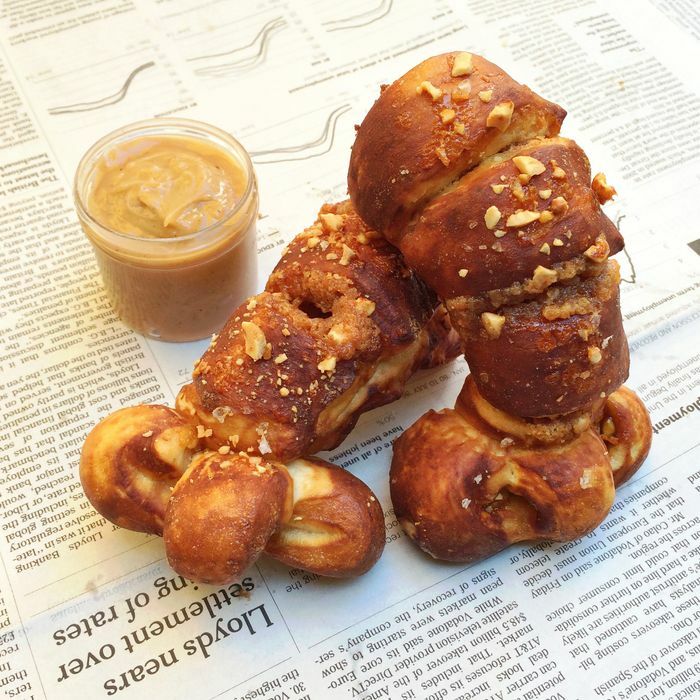 — bears a resemblance to the Italian pastry known as a lobster tail; it’s a pretzel through and through, with bits stuffed with buttercrunch brittle and housemade peanut butter. The design is such that you’re supposed to pull the pretzel apart in segments. The “tail” is sprinkled with Maldon salt, and in a nod to its lobster-tail inspiration, it comes with a pot of whipped brown butter and honey on the side. It goes on sale Sunday at the Soho bakery and will cost $8.